Enjoy maintenance free living at its finest in this like new 4 bedroom 3 bathroom cottage home with master on main on cul-de-sac lot with a great wooded view just 10 minutes away from downtown Greenville and the airport. 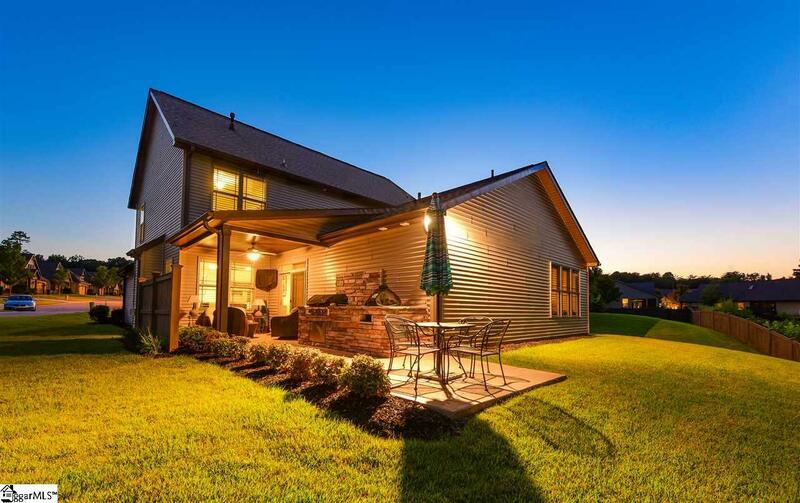 Landscaping and yard maintenance included in the monthly regime fee so this Rosewood community always looks great. 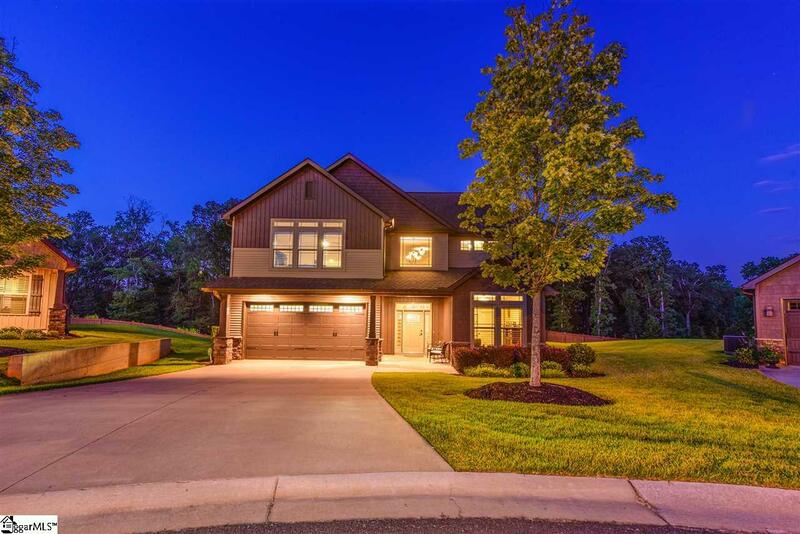 Enter this open floor plant to a two story foyer leading to a spacious great room with stone gas fireplace and adjoining dining room. The large kitchen features granite countertops, custom cabinets with glass door accents, a huge island with wine chiller and upgraded stainless appliances and opens nicely to the main living area and outdoor living spaces. The master on the main is has tons of natural light and private views of the woods in the distance through. Spacious his and her closets, a double vanity, and a custom tile shower make the master bathroom truly spa-like. An additional bedroom on the main level could also be used as a spacious office. 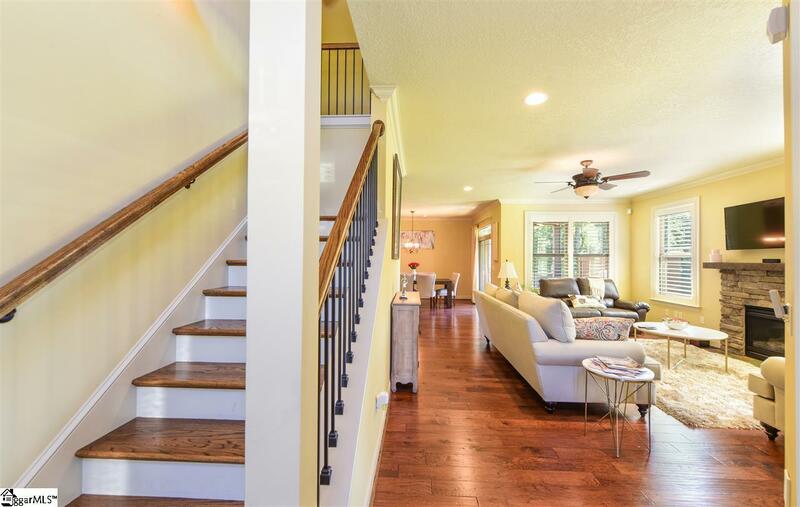 Hardwood stairs lead to an open loft area with a large storage closet and a huge bonus room with glass doors. Two more bedrooms and a lovely full bath complete the upstairs space and provide room for everyone and everything. Outside, find an extended, covered stamped concrete patio with built-in outdoor stone grilling area and space for a green egg. Enjoy an outdoor meal and take a quick stroll on the community walking path that starts in the cul-de-sac. 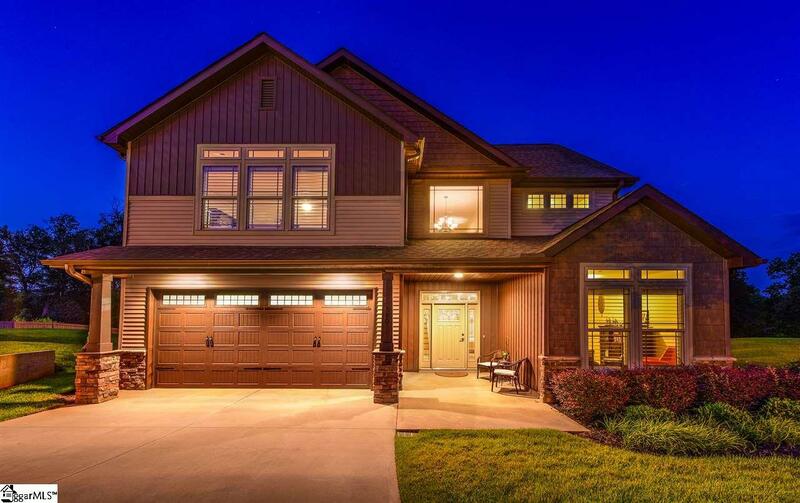 This great home is priced to sell and wont last long!